There is a wealth of information about asset accumulation, how to save within your registered and non-registered accounts to plan for retirement – when you’re no longer working. Or maybe you are working? Potentially you have income from other sources? Might there be an inheritance or another cash flow source in your future? My point is, unfortunately there is little information (or not nearly enough written) about asset decumulation including approaches to earning income in retirement. One of my favourite books about generating retirement income is one by Daryl Diamond, The Retirement Income Blueprint. This is one of the best I’ve read. It is my hope to start exploring this subject more on my site – including for my own benefit – to figure out what earning income in retirement can and needs to look like for us. Thinking about this subject recently I realized the less I know and the more I need to learn. Much more. Maybe the same goes for you. So for what it’s worth today’s post highlights my thoughts on our “bucket approach” to earning income in retirement. distributions from and selling equity Exchange Traded Funds (ETFs) over time. Quick notes: The best approach for any one person or couple will depend on a host of factors that one My Own Advisor blogpost cannot include nor standardize. Throughout 2016, the maximum CPP retirement benefit for new recipients at age 65 was about $1,100 per month. CPP benefits are adjusted once a year, in January, based on changes over a 12-month period related to the Consumer Price Index (CPI) – the cost-of-living measure used by Statistics Canada. Throughout 2016, the basic OAS pension for recipients aged 65 was about $570 per month. OAS benefits are also based on the CPI but are reviewed and revised quarterly. Given both government benefits include some inflation protection (CPI) I personally consider CPP and OAS very bond-like. For this reason we have a tilt towards equities in our personal portfolio and likely always will. This tilt exposes us to more market volatility but it should also provide us with better (higher) longer term returns than fixed income. Time will tell. I’m not sure when we will take CPP or OAS. It will depend. As we get closer to determining our income needs we’ll figure it out. Ideally, we’d like to be able to “live off dividends” covering basic living expenses without CPP or OAS income. This will allow us to defer CPP or OAS, earn more fixed income as we get older by deferring those benefits, and potentially help manage our taxes accordingly. Very conservatively I would think as a couple we’ll earn about $10,000 per year from CPP and OAS. My wife and I are both very fortunate to have some workplace pensions to draw from in our future. I have not included this in our table above. Although these pensions are secure the income from them has yet to be fully determined. Conservatively, I anticipate my pension income will be more than $20,000 per year for life starting at age 55. This pension is adjusted to inflation. I anticipate my wife’s pension will be less but again a pension is a gift. I suspect her income will be $15,000 per year starting at the same age. If we decide to semi-retire from the workforce we’ll need money to close the income gap between leaving full-time work and when these pensions will kick in. It is unclear at this time whether we will commute any pension value or keep it in their respective plans. Personal benefits – working in retirement? Isn’t retirement supposed to be about not working? It can be. Not for me. My wife knows I never plan to retire in the traditional sense. I intend to work as long as I’m physically and mentally able to, into my 60s, 70s and beyond. This may or may not be for any money at all. I believe working on your own terms can have a number of benefits. The gentlemen who wrote Victory Lap Retirement can likely attest to that. There can be social, physical and mental growth that comes from working. In that book, the authors highlight some form of “victory lap” career (i.e., working on your own terms) can provide a number of benefits when the main motivation is gone – you don’t need the money. Financial independence can provide a number of benefits whether you decide to retire early or not. Working on your own terms can be in the form of working part-time, working seasonally, starting your own business or volunteering your time and skills. As they say working can be better when you don’t need the money. I hope to experience that someday. We believe our bucket approach for earning income in retirement will be robust and will provide us with options. If you haven’t already gleaned this from my article, you’ll notice we’re saving and investing diligently on our own now regardless of what might be in store for us (government or workplace benefits). We’re doing this because we believe this is the best approach for us. Ultimately you need to determine what’s best for you personally and financially. I wish you well. Stay tuned to more blogposts on this subject and as my thinking matures. What’s your income plan for retirement? Do you have one? Are you already there and are you accomplishing your needs and wants? Alternatively, don’t know where the heck to start? Drop me a comment and share your thoughts. 50 Responses to "Our bucket approach to earning income in retirement"
I have a plan, however I think the market returns, global issues, and war might effect my plans. This raging bull market has me questioning historical data. I’m just sticking to the plan, but get concerned adding 3k to an all time market monthly. I think your bucket approach is great. 50k is one hell of an emergency plan, plus your house will be paid off? The bull market has been wild so I’m conservative with future returns as well. The $50k is more of a cash wedge to protect us with a year’s worth of income if we need it. Yes, the plan is to be debt-feee and own the home in 4-5 years. My plan is a little different in that it does not weigh as heavy on ETF’s, reason being because when your invested in 40 plus stocks and you look at the various ETF’s, I have found that the stocks I own are also in the ETF’s and as such your simply doubling up on what you already own rather than creating additional diversification. There are other types of investments to own that are not mentioned such as hedging notes, preferred shares, etc.. I believe these can also have a place in ones portfolio, a recent bank note that I own is expected to mature this month with a 10 % annual yield (I would take a 10 % yield every year if I could). What are your thoughts on other investments forms, such as private investment opportunities, some would say that substantial growth currently can be found in the private investment market. Nice to hear from you Jim. You raise a good point about owning stocks and then the ETFs that hold those stocks. It’s something I struggle with a bit as an income-oriented investor. 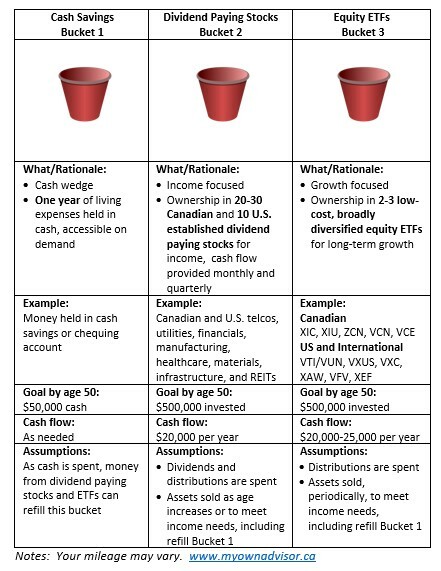 However, I tend to avoid this issue by owning a CDN stocks directly and limit the number of U.S. stocks I have and instead own ETFs like VTI or VYM or HDV for my international exposure. What stocks and funds do you own for income? Curious. Cheers. I like your idea of owning ETF’s in the USA / Asian / EU markets because I find proper exposure in those markets would mean I would have to own another 80 or so stocks, which is somewhat unrealistic. Over time I think I might begin to sell my non Canadian exposure and replace it with ETF’s. I, like you, own well paying dividend aristocrat stocks, primarily in Canada. The full mix Financials, TELCO, Industrial, REIT’s, Materials, Utilities, Energy, Consumer Staples and Discretionary and one that I particularly like which is Global Water (HTO.UN). I typically look for companies which have been around for 25 to 50 years plus and pay a reasonable dividend, they might not be the exciting new stock on the block, but I would take proven performance over flash any day. I find it hard to find good guaranteed rates of returns in this climate, one little trick I have discovered is the Tangerine savings and TFSA accounts. Recently (last couple of years) they introduce these bump up rates for a period of 3 months on new money. What I do is take out all my cash savings money (bucket # 1, currently 120 K) out of the account on the first of the month that these new offers come through on and then place it back in after they announce their offering. For example this quarter (Start April) they have announced 2.97 %, money was taken out on April 1’st and put back in April 5’th thus getting the 2.97 % for the next three months (end of June). Last quarter the rate was 3.25 %. Not bad return on savings account money. Not the way I’d approach it. Of course you need to identify income, but rather than buckets, it should be looked at from a Time Line. If you plan to retire at 50, 55 or 60 than that’s the start. What income will be available (savings & Co. pension), where do you want to draw extra funds from (dividends, TFSA or RRSP), to meet your expected expenses. Carry on going forward. When will you take cpp and how much will it add, reducing other funds. Then oas at 65. Should not be too difficult to forecast as you’ve probably half of your needs with your DB pensions. Then add non-reg dividends and the balance from selling or rrsp drawdown. Wish our projection had been as easy. Fair Bernie. $10k in cash only? That does seem low to me given I’m concerned about dividend or distribution cuts for a short-period of time – that would have an impact on my cash flow and I’d need to adjust. $50k in cash in retirement seems much more reasonable and liquid for immediate money, short-term emergencies and other things. It is our hope to have that money saved up by 2023. I’m not “sold” that our bucket approach is perfect but this is where I’m leaning towards. The income from bucket 2 (dividends) + bucket 3 (RRSP withdrawals) will hopefully be north of $40k per year (by age 2023) excluding pensions, CPP and/or OAS or part-time jobs. That should be good without any debt; our expenses are forecast to be about $48k per year if we live in this home. They could be less elsewhere. Mark, I keep $10K in my emergency low interest cash savings, ie; bank savings account. My TFSA investments are intermediate savings that could be deployed to replenish the emergency cash and/or take the bigger hits if need be. I don’t like to keep too much cash in the bank during these low interest times. I prefer to grow my money with low risk dividend growth stocks in my accounts. No, I can appreciate not keeping lots of cash on hand in these low interest rate times. I’m forecasting we’ll want a good cash wedge in retirement (see link in older post) but so much can change between now and 20 years from now, let alone one or two years out! Always great chatting with you and other savvy investors, I try and learn from all. Cheers. Well, we do plan to semi-retire around age 50 or certainly by age 55. At age 50, re: timeline, we hope to have $30k in dividends + RRSP withdrawals. We need at least $20K in dividends per year by age 50 (as per post) to realize our goals. Otherwise we need to keep working. We hope to “retire” without counting on CPP or OAS, meaning, if we get that (and likely will) that’s gravy which means we can afford to kill off all RRSP assets by age 70 and defer CPP and OAS until then since at that point, we’ll still have TFSAs and non-reg. money and our house to live from it we wanted to. I believe both pensions are worth (now) at least $15k each in income per year for life starting at age 60 – and that will rise as long as we are able to stay with our current employer. My plan to do some work here and there once we become financial independent. When I work because I choose to, not because I have to, work becomes a different animal. I’m with cannew on the time line approach rather than buckets. It’s all about being tax efficient and withdraw funds so you can minimize taxes. Is 5% yield on ETFs realistic? I think that’s a great plan, to have some side-incomes. I suspect that will also accelerate your early retirement plans. 5% yield is very realistic since I don’t plan to keep our RRSPs intact forever. What’s the point of being wealthy when you’re dead? Thank you MArk. Some rather apt postings in the last few weeks as I am currently planning very early retirement (by end of May) having just reached my financial independence goals at age 51. yay FIRE………………. My current quandary is working out how best to withdraw from my mix of registered and un registered accounts in the most tax efficient manor, should I draw down and exhaust my registered funds first, or un registered, or a combination of both, but limiting the RRSP withdrawals to under my wife’s and mine combined tax allowance – effectively pulling out $ from the RRSP with zero tax payable. The latter seems the most sensible route (given I have paid in to the RRSP’s whilst at the highest tax rate.) but all other options are open for consideration and Id welcome thoughts. My plan was a 6 month cash bucket, which I would top up monthly with withdrawals from the rest of my portfolio, which sits in a typical 60/40 stock / bond mix of diversified EFT’s (for both registered and unregistered accounts and in ). I also have about 10% of my assets in a rental property that provides a 6% yield after all costs on the investment that Im happy with, I will likely sell these within the next 10 years and grow the unregistered accounts. I plan to defer of all state pension till age 67 (we know they will move it back to 67 anyway, and my UK pension starts then) and overall allows for all investment assets to be exhausted at age 93 with an average 4% growth rate (41 years). I have not included my principle residence here. You are right that there is little written on this and there are a multitude of options, along side how you invest, what vehicle (RRSP/TFSA/unregistered), how many $ in each area, external (work/state) pensions, your expectations on returns and income needs etc ,etc. I think the best way to learn is to read about real life examples and then pull from other peples experiences to build a direction that best fits ones own personal needs and comfort factors. I believe, at least for us, withdrawing from our RRSPs before or at the same time workplace pensions kick-in is a good strategy for us. Especially because pensions (workplace and government) have inflation-protection built in. This strategy, also as you have highlighted, takes the best advantage of the RRSP – withdrawing in your lowest-income earning years. Ideally we will exhaust all RRSP assets before age 70 and defer CPP and OAS as long as we can to maximize those government benefits. Like you, if we can “die broke” after selling our house/home in our 80s around age 90-95 – that’s about as good as it gets. Well, not dying at all would be great but death and taxes are two sure things! It is interesting to look at the assumptions Mark. I think that this discussion would be strengthened by discussing/link to discussion where you talked about your expected annual expenses in retirement. Your pensions and CPP/OAS income sources are great bond-type-like substitutes. The inflation protection is priceless. For early retirees who are 1 – 2 decades away from “traditional retirement”, some fixed income allocation will be helpful. I personally expect to live off dividends in retirement. I will have other sources of income however. The problem is that I may never “retire”. So if I earn heavily taxed “active income” from side projects, I will pay too much in taxes. This is why I am working hard trying to convert/move most of my assets into tax-deferred accounts. Particularly Roth IRA’s. The other problem is that if/when we get to the traditional retirement age in the 60s, we may be eligible for Social Security. If most of our income is in tax-deferred accounts, that Social Security income will be tax-free up to a certain amount. It’s very hard to predict things 20 years out…heck, even 2 years out. However based on our trend, I believe we can earn close to $30k per year from dividends alone in a couple of accounts by the mid-2020s like you wrote. That will cover basic living expenses, the essentials if you will. RRSP (like 401(K)) withdrawals with cover another $20-25k per year. If we can’t live off that…we’ve got issues! Then there are small pensions to draw from in our late 50s and government benefits after that. As long as we can keep saving and investing at our current rate for the next 7 years or so we’ll be fine and our financial goals will be largely achieved. When are you considering “retirement” DGI? I recall you are close? Thanks for your response. I agree with you that forecasting the future is difficult. But, to answer your question, it is complicated 😉 Things are in flux right now. The common quandary is how to begin withdrawing money (or de-accumulate) in the most tax efficient manner. I read The Retirement Blueprint book, and from what I recall, it’s still not clear to me, which bucket or account to deplete first. To me, it seems it’s important to first forecast which tax brackets one expects to be in at various life stages. This may influence decisions regarding how much to withdraw when and from which account(s). It’s a good quandary to be in, re: what account to draw down first and by how much. Daryl’s book is excellent but you’re right…there is not cut and dry recipe for everyone. 1. Deplete RRSP first via withdrawals or RRIF set-up by age 70. 2. Keep non-reg. intact until 60s or 70s; deplete over time. 3. Keep TFSAs intact until 70s or 80s. 4. Sell house in 80s if we need to for assets. 5. Die broke 90 or 95. Also, for us, what is important is to determine the income we need at what age. Then, after that is figured out, determine where that income could come from. Third, determine the tax strategy to best suit income needs. I believe the ability to draw down RRSPs before collecting CPP and/or OAS is a huge advantage most people don’t think about enough – in their lowest-income earning years. This also provides an opportunity to defer pension-like income in the form of CPP and OAS. Thanks so much for the ‘wealth’ of knowledge you share. My mom is now going on 96 and wanting to continue traveling, shopping and spoiling her (old 🙂 kids. Life expectancy is increasing it would seem. As a long-term, single, renter (with a DB pension), I feel I pay out almost as much in rent as what I would pay in property taxes and maintenance if I were to buy in the area. Of course not having the worry of cost of major repairs etc. now won’t provide me with an asset to sell in the future. Any thoughts for renters? Thanks for being a fan Marie. I can’t offer advice of course on this site, for many reasons, but in terms of renting vs. owning if that is your question…I believe renting has a number of benefits: less to worry about via maintenance and major capital expenses. If you have a DB pension + government benefits (i.e. CPP and/or OAS or both) then renting might not only be cheaper long-term but also provide you with great flexibility if your finances or lifestyle situations change. Mark, I think you have a solid well thought out plan for this point in time. I believe it will evolve some before and during retirement (as ours is) but since you’re on top of it, learning different decumulation approaches, considering taxes (from an income smoothing point) plus determining what you want and need in advance you’ll be well informed and in great shape. Maxxing registered accounts, eliminating debt, investing in unregistered gives you strong foundation for decumulation options/choices. Your estimate for CPP and OAS seems about half of what it will likely be (OAS alone is more), and even more if you delay, unless you don’t believe OAS will be around. My guess is whenever we have a change in federal government the age 67 OAS will return but will take years again to implement. When you do the math on CPP you may discover that retiring at ~50 means you + spouse will gain less than most people by delaying benefits – which is our case (unless you continue to work and contribute meaningfully). After considering this along with the impact on/with your investment assets your idea may change, which I think is the boat we’ll be in, after reading many differing professional opinions on when to apply, and crunching all the numbers. Having a good cash reserve gives you more security/flexibility for potential bigger life events with your RRSP/other drawdowns in the event you want to delay these due to market conditions. 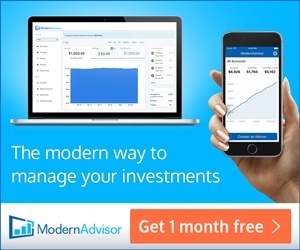 To me it’s a moderate amount, especially before your FI (work/govt pensions) kick in, assuming all of your other financial assets remain in equities. Your number 1 above has 2 very different scenarios so you’ll need to think that through as semi or full retirement draws closer. All the best and look forward to reading more posts on this subject. Thanks as always and for the first year in my life…I actually do feel “on top” of things when it comes to investing. Would I like to have more in the bank and retire earlier? Of course, but seeing where we have come from – from $100k invested back 7 or 8 years ago to now over $500k invested is rather good. I thank our savings rate, low-cost investing, reinvested dividends and time in the market as our allies. I look forward to writing more posts on this subject as well. Mark, I came across this interesting article by Michael Kitces, a respected retirement researcher, about how generating retirement income has evolved over the years – from bond interest only in the 60’s, to dividend stocks in the 70’s, to total return in the 80’s and later, initially using capital gains, and then principle. The four pillars of retirement income is a good way of conceptualizing this. It also points out the risks involved in relying on an income only approach, not to mention the capital left at the end of life being a wasted opportunity – money that could have been spent during life. Thanks for sharing Grant. I’ll certainly spend the capital as I get older but the “living off dividends” via an income approach is really a mind-set to saving and investing at this point. I can’t imagine myself not selling stocks and ETFs as I get older to use for expenses and fun. I still figure I need $1 M saved to retire early (ages 50-55) excluding a paid off home (i.e., no debt), pensions and then government benefits after that. Does that not seem like a good goal? I will certainly read the article – thanks! The article was interesting. However, I struggle with the “clipping the coupon” and holding bonds these days given the low rates. I feel I would be better off with a cash wedge and relying on capital gains and dividends to spend. I think if I ignored spending the capital inside my RRSP that might occur. However, I fully expect to exhaust my/our RRSPs before we touch our workplace pensions which is our “bond”. That “bond” income from both pensions will be at least $20,000 per year for life, maybe higher. That will be at least 20-25% of our income/coupon clipping that I will never have to worry about. 6. late 80s = workplace & government pensions + sell house/other for assets; estate planning. Why are you showing the same $30K dividend income in your 50’s through your 60’s? If you’re not selling any capital even an ultra conservative 5% DGR will turn your age 50 $30K dividend into $49K at age 60 and $80K at age 70. Good article Grant. For disclosure I am a practitioner of the four pillar approach. I also prefer to consider our retirement funding as “cash flow” rather than “income”. I know we will definitely be spending capital and I know our sources of income and amounts will vary over time based on a variety of factors- equity market conditions, interest rates, needs, other pension like income, tax considerations to name some. Mark, I really like your plan above with a few considerations I mention below. Unless I am missing something the way I see it you’re really planning for a 4 pillar approach but simply not using bonds, since you see your other sources of income from pensions as a replacement. This may be perfectly fine as you likely have a larger amount of “guaranteed income” from pensions than many, although sequence of returns could be an issue in the years before retiring and in the early period of your retirement with little FI exposure. You seem to be aware of this and accept the risk, and the cash wedge helps mitigate it some. I see the biggest risk for some of us with largish equity positions and planning to use capital a bit differently. It isn’t so much leaving it intact and largely unused (especially for someone as tuned into finances as you), but the possibility it isn’t worth what we’re expecting at future dates, or it doesn’t generate what we expect in dividends, or we make mistakes with the amounts of utilization….. leaving us short. This might make a stronger argument for delaying CPP/OAS for bigger payouts with inflation protection-although even this has risk with OAS IMHO. I note it’s interesting you’re now planning to delay work pensions into your 60’s. If that benefits the payouts looking at your scenario that could work very nicely. I think the projection on your RRSP withdrawals may need some work since if you save $500k by age 50 you’ll have a lot more cash flow than $20-25K depleting it in early 60’s, or it will last much longer, or you’ll be reinvesting and growing your other accounts/cash flow significantly. $500k with conservative 4% return, infl @2.5%, 15% tax? for 12 years (age 62) = ~$45K NET/yr; 20 years (age 70) = ~$28K NET/yr……NICE PROBLEM! Great to think about and have all these possibilities. Yes…I certainly have more to consider. I haven’t figured it all out yet! You are correct about accepting the FI risk. Having “enough” in our own portfolio will also make a stronger argument for delaying CPP/OAS – bigger payouts. So, options are good when you’ve saved enough money. You need to remember thought that $500k inside an RRSP is not all our money 🙁 Regardless, if we can save $500k by age 50 in our RRSPs we’ll have lots of options. This is one of our sub-goals. I’m currently leaning on depleting all RRSP assets by age 70. I need to figure out the best combination for that. At that age (70) we intend to have >$250k non-reg. assets + all TFSA assets intact (both churning out income) + paid off home + workplace pensions and government pensions (CPP x2 + OAS x2). That will still be enough I think. Let me know when you have it all figured out, and then do mine. Haha, I’m retired and still working on it! Four pillars- “interest, dividends, capital gains, and principal”- your interest will be from your HISA! Especially nice your pensions are indexed. “Having enough” = options….always a good thing. We’ll be looking seriously at what to do with CPP within the next 12-18 months. I’ve run the numbers and we’ll have more cash flow waiting to 65, and even more waiting to 70. I expect it will be a tough call. I also have some serious thinking to do on how much to step up RRSP withdrawals, if longer term we continue to exceed my conservative return numbers. LOL, “not all our money” is pretty familiar here since I’m the one doing lots of withdrawals. My scenario for you above was “after tax (15%)” cash flow on the 500K and also included annual increases of 2.5% for inflation. Remember with unregistered it’s also not all your money. Dividends are taxable (in my case) and then cap gains at some point too! If you meet your asset goals your overall cash flow is going to be way more than you’re forecasting now. Funny how I seem to be saying that to you often. Hopefully that’s something I’m right about. Great post Mark. It is nice that you are taking your retirement future into your own hands and not relying on private and government pensions to fund your retirement. I think the $10k for combined CPP and OAS is conservative which is good, many people overstate what they think they will get from government pensions. Trying to Pamela – thanks for the kind words. Who knows what the government will or won’t do right? I’m very conservative with money by nature but I suspect it has gotten us thus far. Nice post Mark. If not for Private Pension, CPP, OAS I would not be retired, but since I am and occasionally would like some extra income I’ve looked at Upworks.com. By joining with them I am able to get short term or long term employment working only when I want to. Possibly the best part is because it is all done over the internet I can be any where in the world and still work as much or as little as I want. Good to hear from you Ken! I hope all is well. 1. Start withdrawals from RRSP in 50s, defer taking workplace pensions due to penalties; not eligible for CPP and OAS. 2. Continue to wind down RRSPs in 60s, obtain workplace pension income in 60s; consider CPP and OAS at 65. 3. 60s = work at depleting RRSP + earn inflation-protected income via pensions (workplace and government). Throughout we’ll also be spending dividends from non-reg. 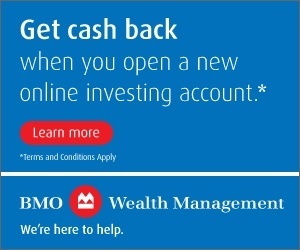 account and keeping TFSAs intact until 60s or 70s. The TFSAs are the last accounts to be depleted. The key for us will be to remain under OAS clawback territory, which I believe we will since that’s ~$73k per person. My model has us at never more than $50k net income each. I would be very interested to learn of financial modelling. Similar to Grant’s comments above, this is what I’ve been debating as well: Which accounts to “melt down” first from a tax efficiency perspective. As I seem to recall, the book, The Retirement Blueprint recommended to deplete the least tax efficient accounts first. I forget what the book said about whether there is a benefit to delay CPP and/or OAS. One benefit to depleting registered accounts last is this: If one holds US dividend paying stocks in registered accounts, those stocks can remain there longer and continue to pay you tax sheltered dividend income. On the other hand, if one instead chooses to “melt down” registered accounts first, this implies selling US stocks, since it’s not tax efficient to transfer them in kind to a non-registered account. By selling the US stocks you will then be “killing the cows that give the milk (the dividends)”. From that book, Daryl reminds us that employment income, CPP and OAS, rental income; and income derived from registered assets like RRSP/RRIF payments or LIFs are fully taxable. So, I believe the trick is, minimize taxation on fully taxable income throughout retirement. 1. We cannot take CPP or OAS earlier than 60 and 65 respectively, so my consideration on that is to potentially defer CPP until 65 or so, and take OAS at 65. This income is fully taxable. My pension income will be fully taxable as well. To offset that I will want to earn income that is tax-efficient. For me that means income from Canadian dividend paying stocks. Keeping my RRSP intact, longer, will be, I believe, too much fully taxable income. It needs to be smoothed out over time. Interesting article. I was able to relate to some examples. Article: Which Account Should I Draw First In Retirement? Excellent article. Thank you! I came across this. It may be of interest to some of the readers. The advantage of an RRSP is that amounts contributed are deductible from income and the profits earned in the RRSP portfolio are free of tax when earned. However the downside to these retirement savings plans is that all income that is withdrawn is fully taxable upon receipt. Furthermore once a Canadian taxpayer reaches the age of 71 the RRSP has to be converted into a pension or a RRIF (registered retirement income fund) and part of the RRIF or the pension has to be taken out annually (and subject to tax). This is not unlike the Smith Manoeuvre in reverse – borrow, therefore make interest on borrowed money tax deductible and then use borrowed funds for investing purposes. Is this something you might be interested in? Curious. That’s all very well, but it introduces the additional risks of using leverage to invest. And with people that are already retired. I wouldn’t do it. The article reads like a marketing piece to me. Hi Mark, I posted the RGA Financial link over on CMF (I post over there as GreatLaker.). And a shout out to Ron Graham for posting such a useful article on his website. The way I see it, you pay much less tax on non-registered withdrawals. RRSP withdrawals are taxed at full marginal rate. Non-reg withdrawals are taxed at the CG tax rate on the gains only. So non-reg withdrawals leave more money in the portfolio to compound. Then you need to consider future tax rates when mandatory RRIF withdrawals start, and possible OAS clawback. So the objective is to withdraw the minimum from RRSP after retirement up to age 71 to avoid higher taxes on RRIF withdrawals. And that’s where a good fee only planner comes in. They can run scenarios with various withdrawal strategies to maximise estate value for a reasonable set of assumptions on lifespan, rate of return and annual withdrawals. Or conversely the maximum annual withdrawal for a desired estate value. Looking forward to your continued articles. I think because RRSP withdrawals are taxed at full marginal rate, is why I need to “smooth” them out over time. I don’t think it would make much sense to keep RRSP and/or RRIF in place for us in retirement only to be taxed at full marginal rate on pensions + CPP + OAS. The less tax paid at full marginal rate the better no? I agree with the fee-only planner. I might take advantage of those services in future years but I also like figure this stuff out on my own. Thanks for the kind words about the site. I appreciate you being a fan.